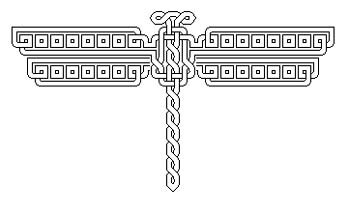 Celtic Tattoo Design Set - Create custom Celtic Knotwork tattoos on your computer! 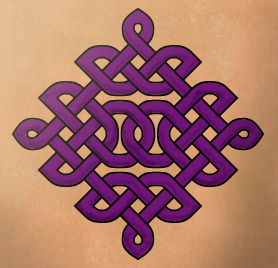 Introducing a revolutionary new way to create beautiful custom Celtic Knotwork tattoos on your computer! Create your own tattoo designs with the Celtic Knot Font, as easily as typing. It's NOT a lettering font (although we include a lettering font for free) - it's a design tool that creates patterns by typing! Our Tattoo Design Set includes the Celtic Knot Font and over 200 tattoo designs created with the Font! You can use them exactly as-is, or easily modify them in minutes with the Font to suit your needs. The package includes over 60 armbands, 15 crosses, and a huge assortment of other shapes such as diamonds, starbursts and hearts. 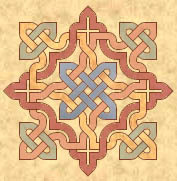 All are formed from intricate Celtic knotwork, with the proper over/under pattern of interlace. They are extremely accurate so that everything lines up perfectly on continuous patterns such as arm, ankle bands. Most bands include both open-ended (continous) and closed end designs. The Celtic Knot Font is perfect for designing your own tattoo! Because it is totally resizeable it can be scaled to fit your body exactly. This is especially important with knotwork bands, where you need for the ends to match up seamlessly - very hard to acheive with off-the-shelf flash, but easy with the Celtic Knot Font! 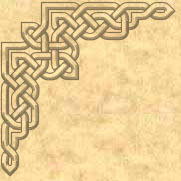 The Font lets you create your own Celtic design on your computer and modify it until you get exactly the perfect knotwork for your project - then print it! In the armband example above, for instance, you could easily add more repeats of the pattern just by copying and pasting a piece of the design. Or you could size it for use as an ankleband, wristband, or ring tattoo. Since it was created by typing text, rather than drawing a graphic, this is easy for anyone to do in any word-processing program that you already have on your computer. Here's a photo sent to us by one of our customers who designed his tattoo with the Font. He was kind enough to share the photo, but has requested that folks create their own designs with the Font and not copy this one for their own tattoos. 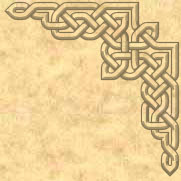 Just a couple of the Celtic knot band designs included in the tattoo design set. Works on any Windows (PC) or Mac system with no special requirements. Order now securely online and you can be playing with it in minutes! If you prefer to order by phone, you may call us at (707) 774-1369 (9am to 9pm Pacific Standard Time). Downloads are delivered by automatic server. You will receive an email within a few minutes with a link to a secure download site to get your font. Explore the myriad ways in which you can express your individuality by creating a custom tattoo design! 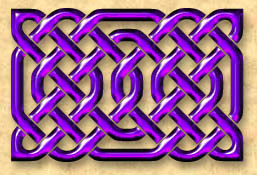 The interlaced cords of knotwork can symbolize a relationship - two interwoven strands for love, marriage or friendship, 3 or more for family. 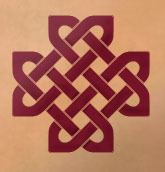 The concepts of eternity and the connectedness of all life are expressed in the path of the knots, which follow twists and turns and return again to their beginning. Click here to learn more about the Font! 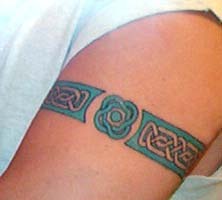 We will continue to add content to this page including photos of tattoos made with the Celtic Knot Font! Submit photos of your tattoo or design and we will include it here!